This interactive workshop offers practical tools that will help your attorneys write crisp, clear prose that follows an airtight structure and marshals authority deftly—the skills that readers seek but seldom find. In break-out sessions, we will apply the Four Steps editing techniques to excerpts from recent well-known cases, deals, and disputes. Participants will also receive my Attorney Toolkit, my new contract-drafting guide, and other resources. 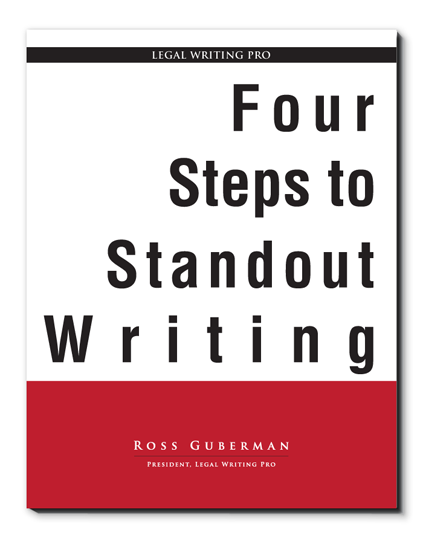 If you’d like to learn more about our Four Steps to Standout Legal Writing workshop, please fill out the contact form below.